The Under Armour Scent Control ColdGear Rut Pants are loaded down with all of the best technologies and features that a hunter could ever want. First, these pants are constructed with Under Armour’s signature ColdGear and Scent Control technologies. That means that instead of putting on one pair of pants that reduces your scent and another pair that keeps you warm, you can slide these Rut Pants on and be good to go. The Scent Control ColdGear Rut Pants also feature a total of six pockets and side leg zips at the bottom. 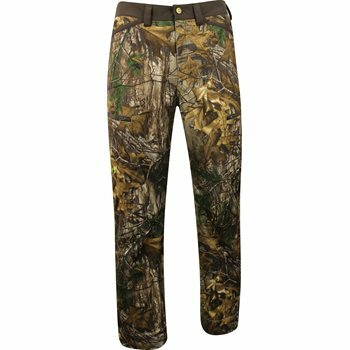 Your hunting gear is not complete without these pants. 2 front pockets, 2 back pockets, and 2 cargo pockets.